Cottage or Cabin? What is the difference to you? When the word "cottage" or "cabin" comes to mind, what do you think of? DaddyO and I were asking ourselves this question recently, and realized we weren't exactly sure how to answer? "A cottage is definitely near a lake or water." "Does that mean a cabin is only in the woods?" "A cottage has indoor plumbing and a washroom, whereas a cabin has an outhouse." "Does a cabin have only the bare necessities, or can it be more luxurious?" In Ontario where we grew up, people tend to call their recreational dwellings "cottages". But in Alberta where we live, a western province, most people refer to their recreational dwellings as "cabins". 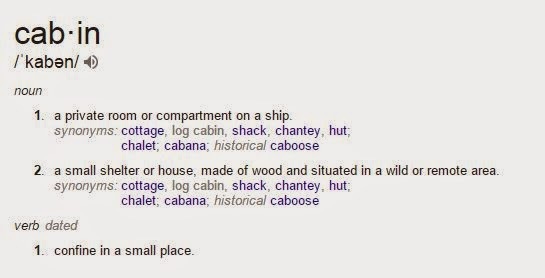 Interestingly, both words are synonyms of each other, yet "cottage" does specify near a lake or beach, while a "cabin" implies the dwelling be made of wood and be located in a wild or remote area. So then... is the usage of the word "cottage" or "cabin", solely dependent upon the region one is from? This whole conversation made me think of the House-Tree-Person Test . Did you know that by asking someone to draw a house, a tree or a person - they are providing you with valuable insight into the things they have learned about or have been exposed to over their lifetime? About 10... no, maybe 14 years ago, I was working as a bartender in St. John's, Newfoundland. A customer (who was also a tourist) wanted to learn a little more about us, so he asked each of us present during 'happy hour' to draw a picture of a tree. The fellow looked over everyone's tree drawings and then stopped when he got to mine. He immediately asked me, where was I from? As it turned out, I was the only person in the room who had drawn a deciduous tree - a huge, towering Oak tree! Being originally from Ontario, that was what I thought a tree should look like. It had never even dawned on me to draw a coniferous tree; however, the room, predominantly full of Newfoundlanders, had all drawn 'Christmas tree' style trees. After asking my Facebook friends what their thoughts on the whole "cottage" vs. "cabin" thing were (and receiving more of the same east coast vs west coast upbringings), I have decided that it does not matter. Let it be known from this moment forward that when I write about our off-grid "cottage" adventures, that I likely really mean cabin. 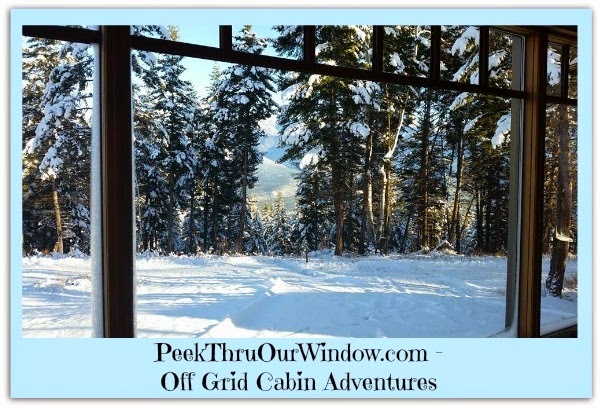 And for those of you who'd like to follow our cabin adventures, I have set up a page HERE. A New PAW-rtnership with Church & Dwight!